Frames Wallpaper by Artists Taylor and Wood. 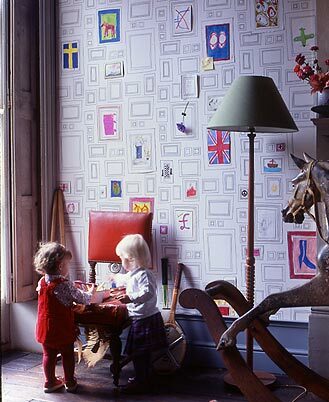 It’s a completely interactive wallpaper – you decide what you want it to be – whether you want to put up your youngsters art, paint directly in to a frame, or put up family photos – it’s up to you! All this talk of wallpaper, you should check out: http://www.frontdesign.se/portfolio.htm. The rat wallpaper is amazing!